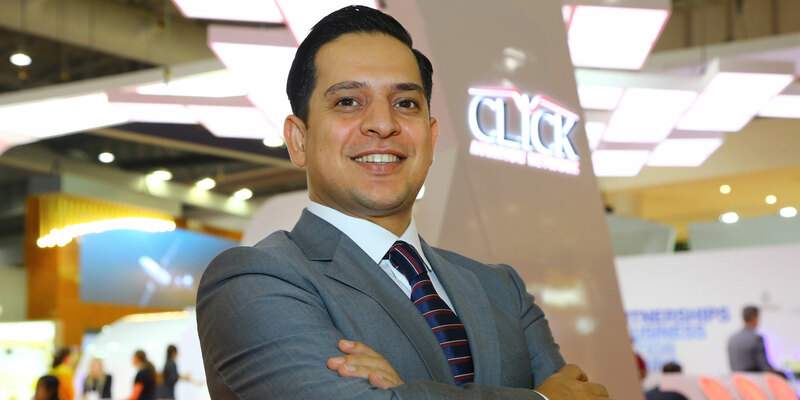 Click Aviation Network CEO Aiham Bader offers dynamic resource networking. Click Aviation Network has developed a platform where various businesses, from charter brokers to service providers, can connect with each other and explore business opportunities. The Dubai-based company, which launched in 2015, hopes to leverage the evolving use of the internet in the business aviation marketplace to develop an expansive aviation network. Click members can build a portfolio and present their services on the Click platform. The platform also is designed to simplify operational, commercial and financial processes. It enables multiple user access, charter inquiry management, access to the location of an aircraft, access to airport and FBO directories, direct communication with operators, and access to invoices and management reports. The company also has an established operations control center with flight operations and flight dispatch specialists to provide services that range from coordinating air traffic rights to customized trip planning.